It can be with two ways: tank transmission and rotary valve transmission. The former is through compressing the tank to a stated pressure,switching the discharging valve and air knife to distribute materials( they are in the state of a plunger to realize the whole process of transmission. Speed of airflow transmission is much lower, yet fixing this kind of airflow is much higher. Besides, transmitting barometric pressure is also higher. 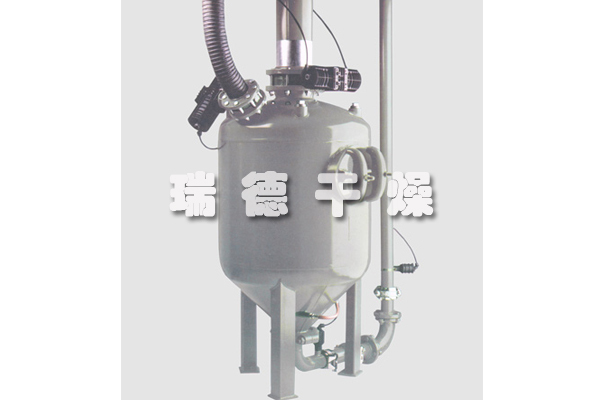 Air or nitrogen is usually used for transmitting with compressor providing power. Its main characteristics are low transmission speed and little influence against quality of material. 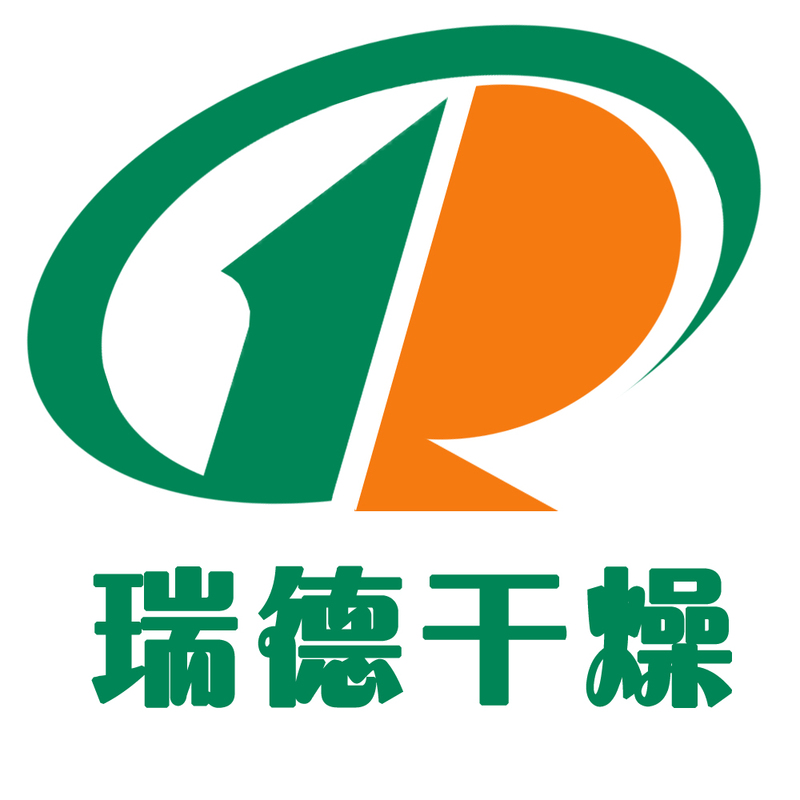 Rotary valve pneumatic hyperflow is in the way of Dilute Phase positive pressure to transmitting with compressor providing power. This system has much higher pressure, much lower speed of flow, but much heavier transmitting capacity with little influence again materials. It is usually used for single-point feeding materials, long-distance transmission with the materials being fragile and abrasive. 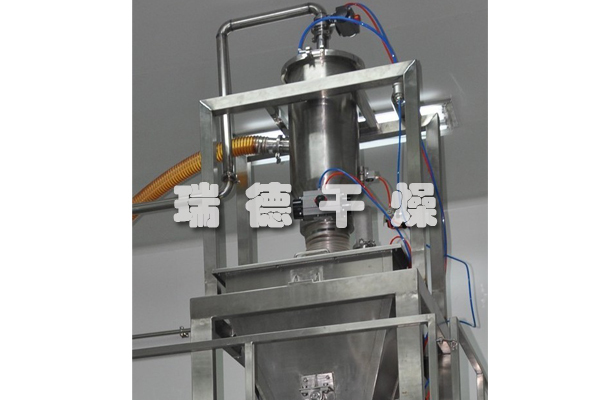 It is almost full of materials in type of plunger flow moving forward in the tubing, which is in a low speed and high density way to transmitting materials in the tubing. 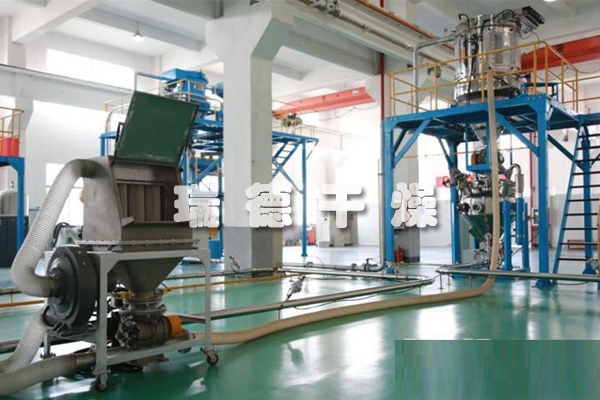 It is usually used for single-point feeding materials and much longer-distance transmission. It is almost full of materials in type of plunger flow moving forward in the tubing. Those materials have little abrasiveness to the tubing and are invulnerable to breakage. And they are usually transmitted by positive pressure. Positive transmitting system is an energy-saving with high efficiency transmitting way to transmit materials to a long distance by compressed air. Its air supply is compressor air motor. According to different transmitting materials and layout forms, it is necessary to calculate pneumatic transmission seriously and rigidly. 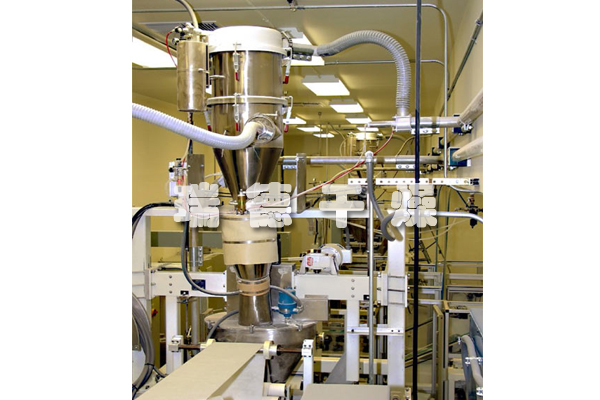 2) In the way of Feeding through rotary valve, transmit materials in the tubing into store holder. 3). 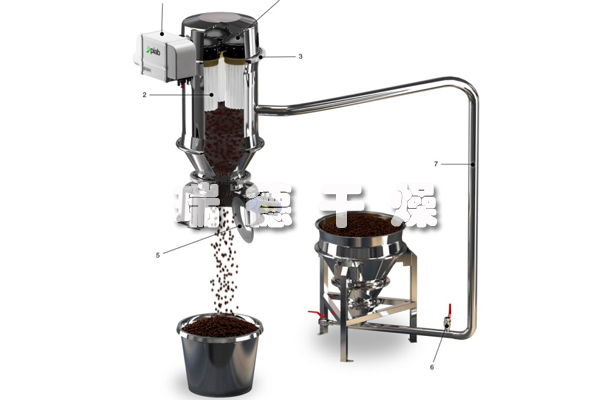 combined negative pressure/ positive pressure transmitting system is through negative pressure driving the near multipoint materials into the aggregate bin, and the bin pump set below the aggregate bin transmitting materials into store holder or other receiving points. 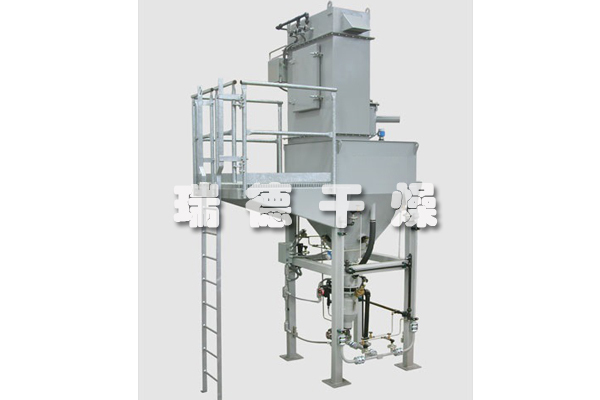 It is the way of Multipoint feeding and single-point discharging. Materials Transmission speed in the tubing is lower than that of suspended state which is suitable for transmitting powder and little granule.